Kelsey Brown is passionate about health and wellness. Along with her passion for sports, she brings with her 8 years of experience as a personal trainer. She believes strongly in preventative therapy and tailors her treatment by focusing on manual therapy in conjunction with exercise prescription and patient education. In her spare time Kelsey enjoys strength and circuit training, running, horseback riding, reading and traveling. 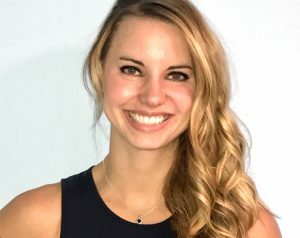 She has taken several post-graduate courses specializing in manual therapy, exercise prescription focusing on movement preparation and injury prevention, thoracic and pelvic outlet, ACL rehabilitation, stroke rehabilitation, and pelvic floor muscle pain. Kelsey has completed her acupuncture certification through Acupuncture Canada.